Recently, we have come across a number of UTVs that were fitted with oversized tires, and in most of those cases we found that performance suffered. We are all for the cool look and added ground clearance that big tires supply, but not if we lose performance and driveability. The solution is to have the CVT clutching modified to work with the larger tires. 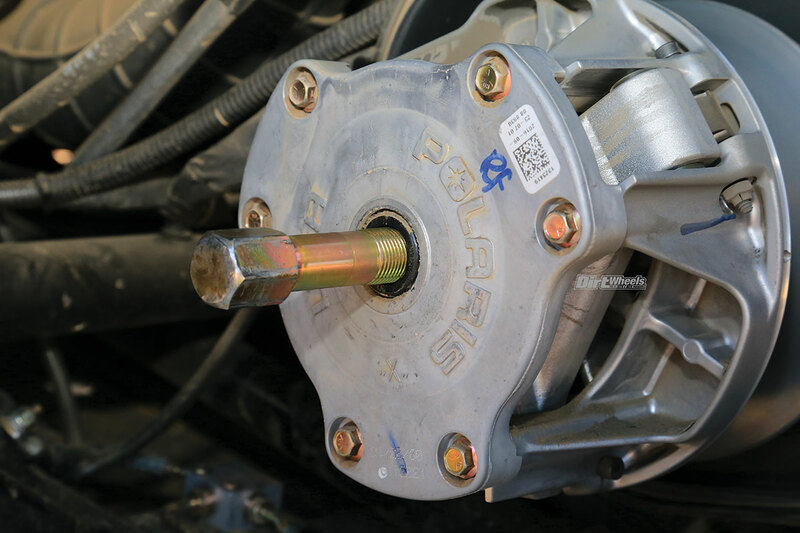 The photos and text here will show how we installed GBoost clutch kits in 2017 Polaris UTVs; one was a Turbo and the other a General. Between the two, they cover a lot of the basic clutch setups. The Turbo kit did not require a helix change in the driven (rear) clutch, so it was cheaper than the kit designed for the General. 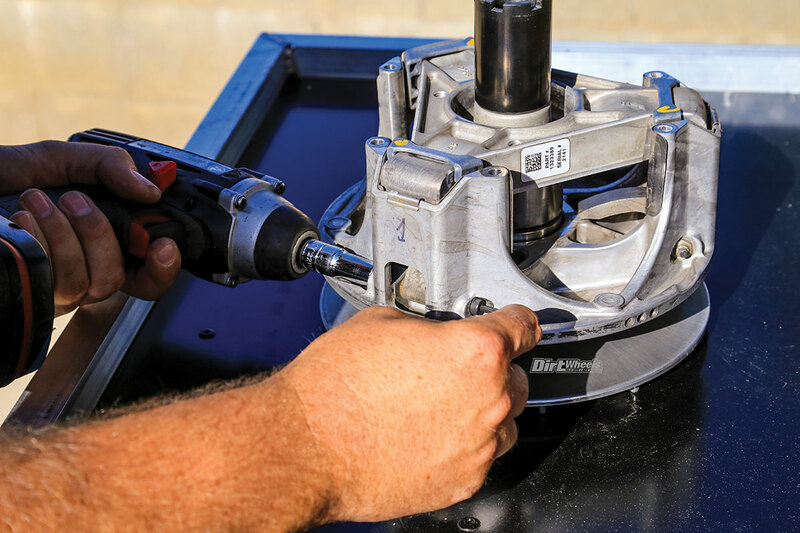 You will need a few special tools: a clutch puller, a clutch compression tool, two torque wrenches (one for 95 foot/pounds and another for under 15 foot/pounds) and a vise to hold the compression tool. A cordless impact is almost a requirement as well. For soft tools you will need contact cleaner, Scotch-Brite pads, clean rags and a medium thread-locking compound like blue Loctite. We also found we needed a spray penetrant and a permanent marker to mark parts in case we want to reuse them later. Work gloves and disposable gloves are a good idea. Our kits came with written instructions, but we watched how-to videos on the GBoost website: www.gboosttechnology.com. We worked on the General sitting on its wheels, but we jacked up the Turbo, removed the driver’s-side rear wheel and the bottom shock mounting bolt to give us more room. As always, start with a clean machine. 1.Removing the CVT vent and cover is easy enough. 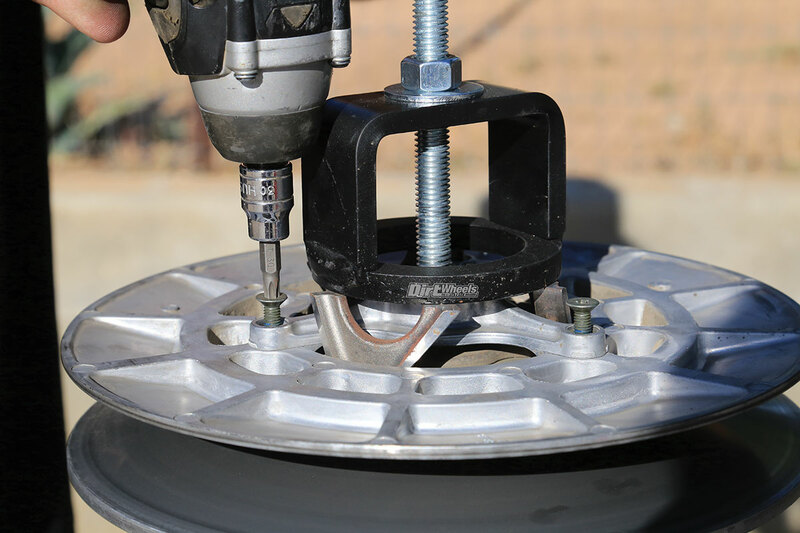 You can drop the cover through the bottom, but removing the wheel and bottom shock bolt makes the whole job much easier in the long run. 2. 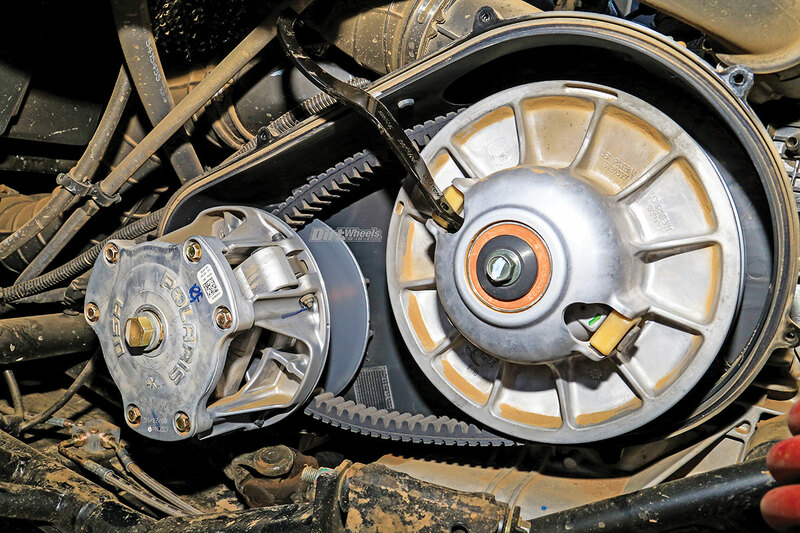 You must spread the sheaves of the driven (rear) clutch to get slack in the CVT belt. Make a note of the belt direction. The RZR Turbo uses this tool to spread the sheaves. There is no need to remove the belt if you are pulling the clutches. 3. 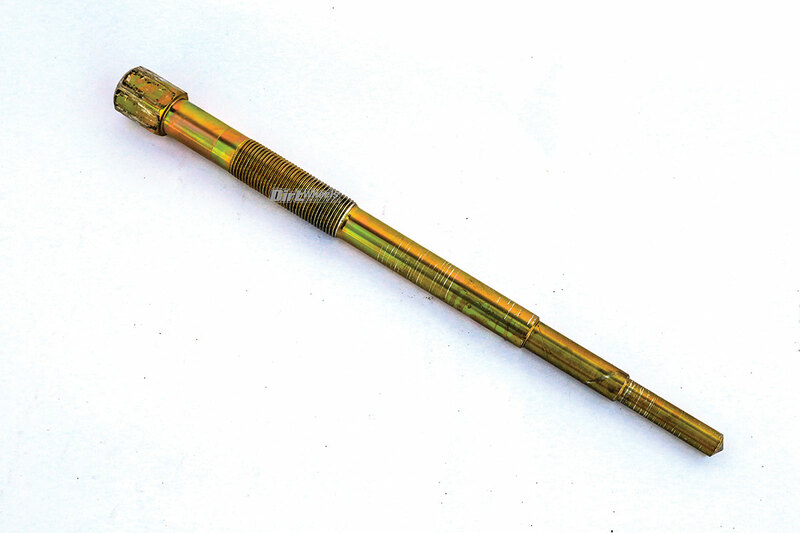 The General (and many other Polaris models) uses a lever like this to force the sheaves apart. Even though the CVT belt case is somewhat filtered, dust inside the case like this is normal in dry conditions. 4. Insert a long, smooth bar through the clutch to hold it. Make sure that the end touching the chassis is away from wires & delicate parts. The bar will allow you to remove the clutch mounting bolt. It is torqued to 95 foot-pounds, so you will need to hold it. 5. Remove the bolt holding the drive clutch on. 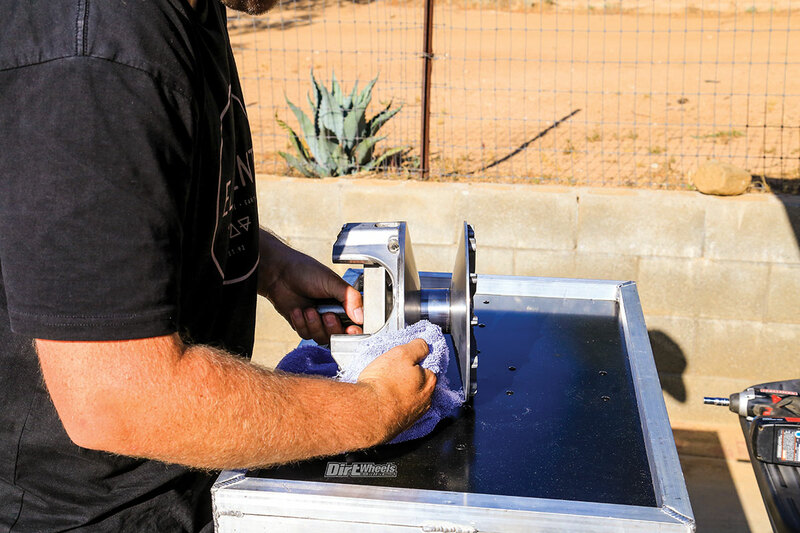 We used a Craftsman half-inch-drive cordless impact, and it handled the task without a problem. Remove the bolt, but keep the washers in order for reassembly. The Turbo driven clutch has a bolt and a snap ring. 6. This is the U.S.-made GBoost clutch puller. It runs $49.95, and worked on both our machines. We found that spraying some penetrating lubricant into the bolt opening helps the clutch to pull off easier. 7. After spraying in the penetrant, insert the puller and tighten it by hand. 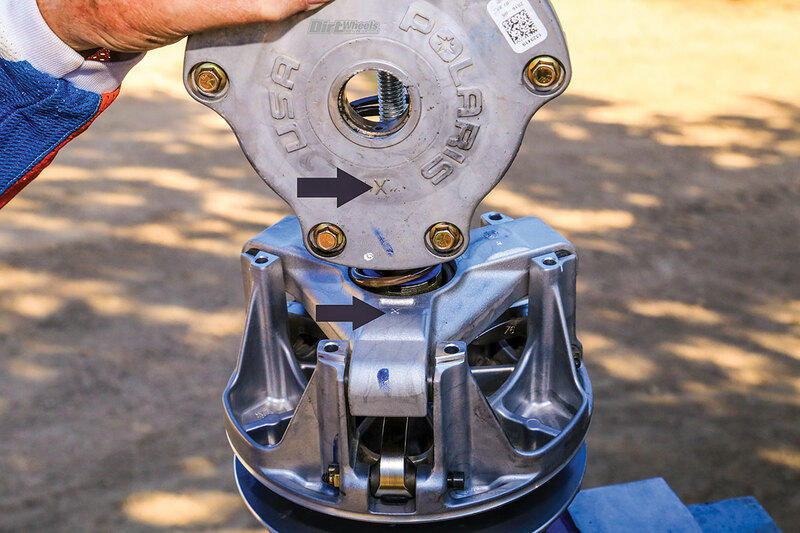 Some of the how-to videos say don’t use an impact on the puller, but there was no chance our Turbo clutch would have come off without an impact. The clutch is aluminum, and it mounts on a tapered end of the steel crankshaft, so heating the clutch may help. 8. This is the clutch compression tool. 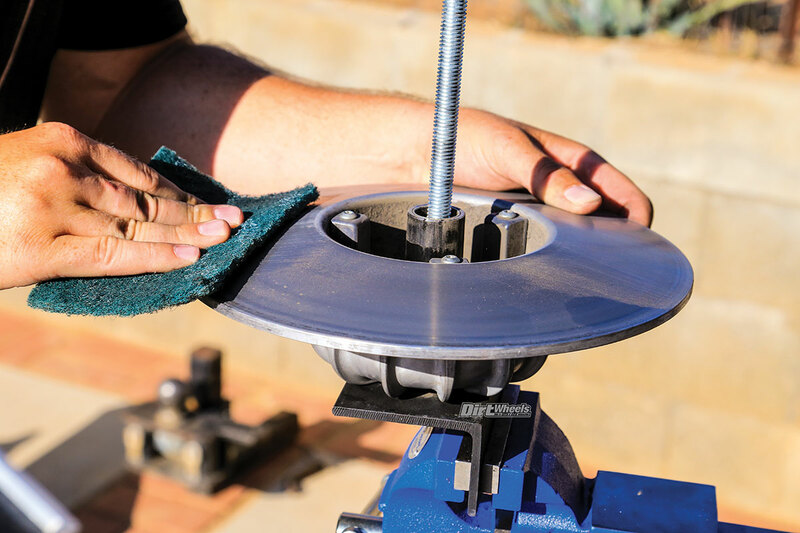 Both clutches are assembled with extreme-contained spring pressure, so you must use this tool to avoid injury and damaging parts of the clutch. 9. 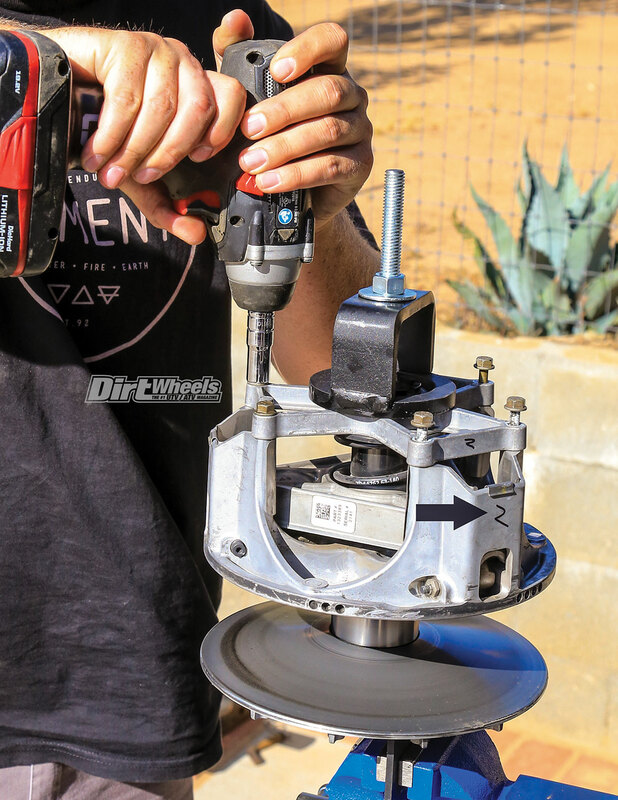 This center bushing on the General clutch is smaller in diameter than the RZR Turbo, so you need a different, smaller clutch compression tool for the General. The smaller one is $69.95 and the larger one is $79.95 from GBoost. 10. 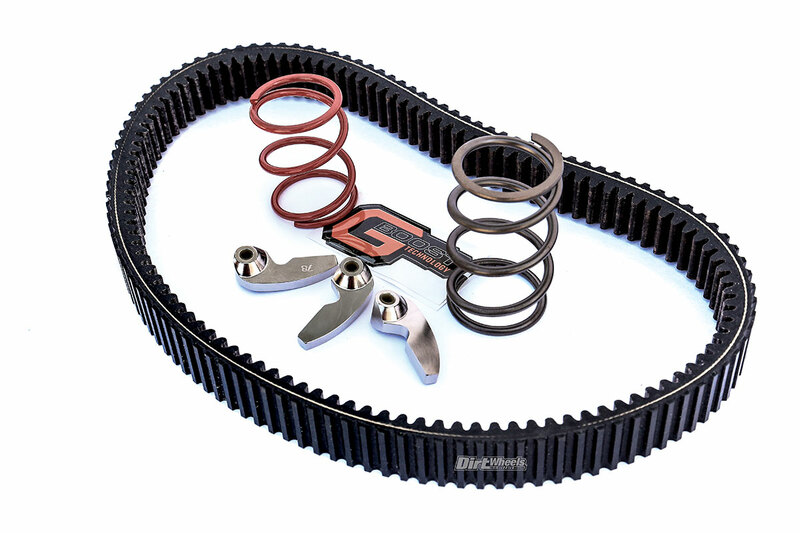 Use the clutch compression tool to control the spring pressure while you loosen the top of the RZR Turbo clutch. Before you start, use your marker to label the three sides (arrow) so it goes back together the same way. 11. There is no need to mark a General clutch. It has cast-in X marks (arrows) that should line up when you assemble the clutch. 12. 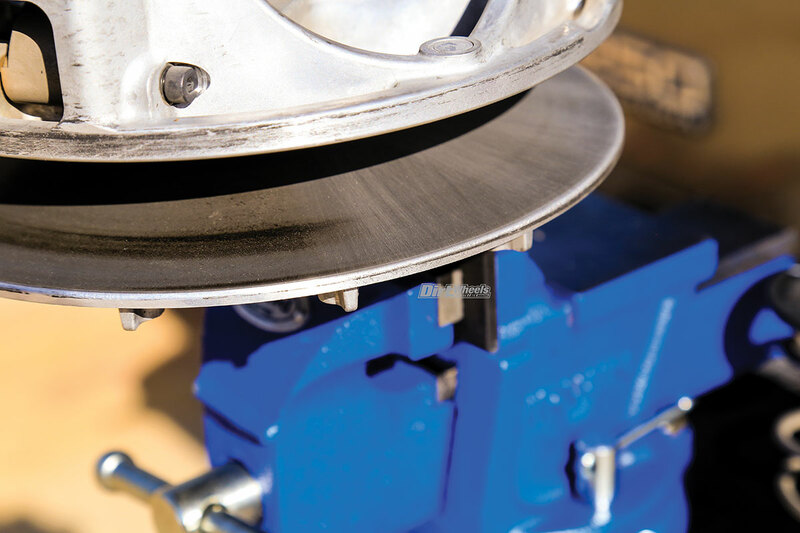 The residual belt rubber on the face of the sheaves is a sign that the clutching needed modifying. Use a Scotch-Brite pad, working in and out (not around) to buff the sheave faces. Look for marks and grooves in the faces. 13. After the sheave faces are prepped with the Scotch-Brite pad, there should be no remaining rubber or discoloration left. Use contact cleaner on a clean rag to clean any residue off the sheave faces. 14. 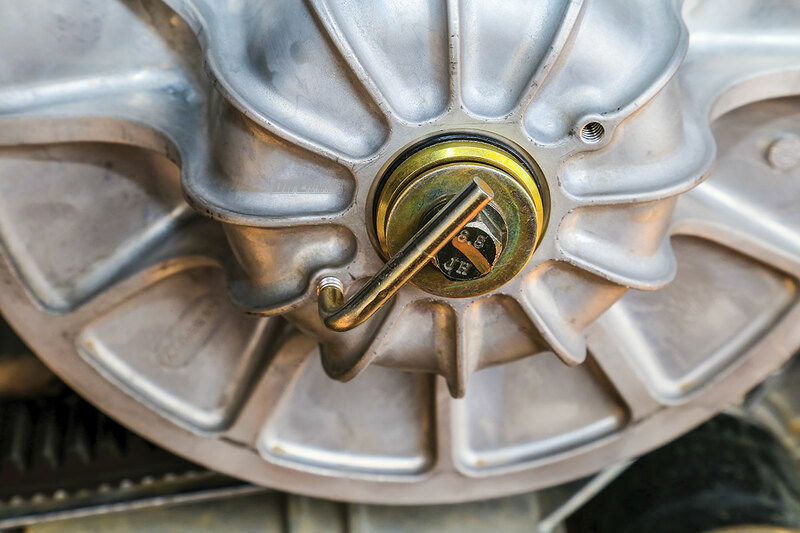 If the clutch kit calls for new weights, use an Allen wrench and a socket to pull the bolts out of the weights. On our General we needed to clean up the bolts with Scotch-Brite before they would slide back in smoothly. 15. The GBoost weights and the stock weights are stamped with a weight number. 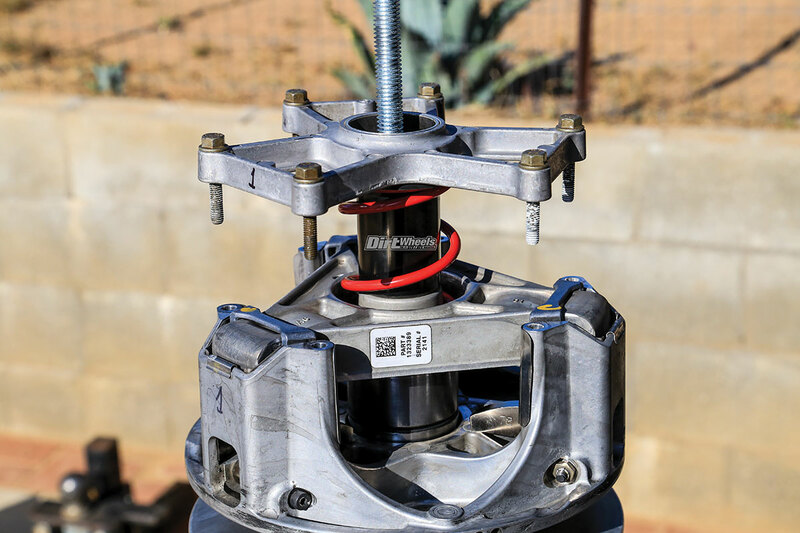 Make sure that you install the correct weight for the kit you ordered. This kit called for a 10-gram weight increase for each weight. 16. 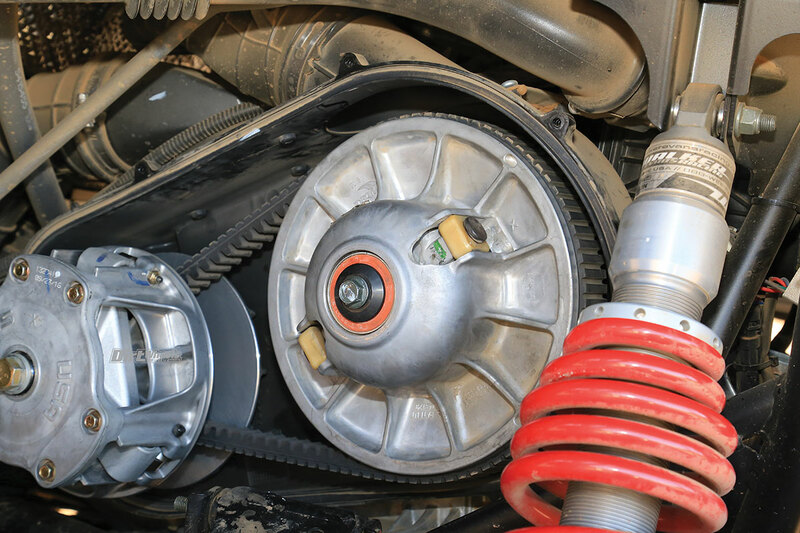 With the weights installed, make sure that the clutch is clean. Note that the numbers written in marker are lined up. Install the new spring if specified, then use the clutch compression tool to compress the parts so you can tighten and torque the bolts. 17. Put the driven clutch on the clutch compression tool (CCT), and use a Torx socket to remove the bolts holding the clutch together. Loosen the nut on the CCT to release spring tension. The bolts are thread-locked, so heat may help. 18. Again, use Scotch-Brite to clean the sheave faces rubbing opposite to the belt travel. Clean both faces with the pad, then clean the whole clutch with a clean rag and contact cleaner. 19. 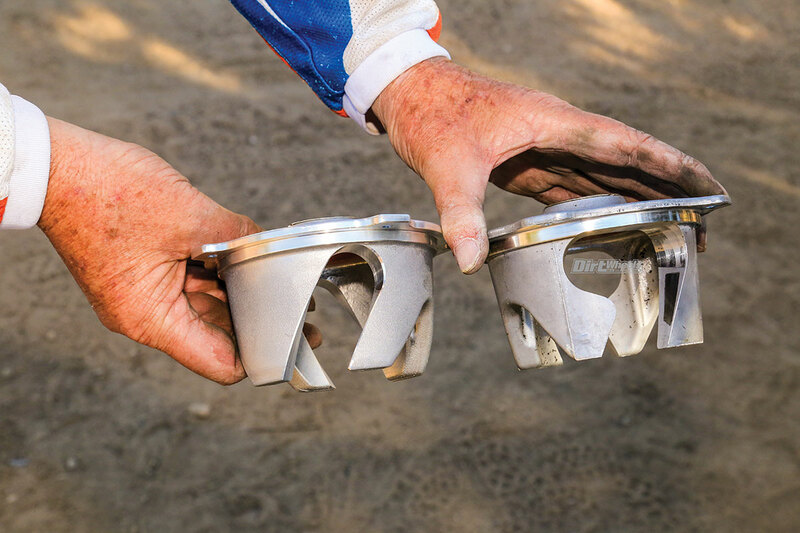 For the RZR Turbo, there is no helix change, but for the General, GBoost replaces the stock helix (right) with this new one. The cutaway is quite different for the new helix. 20. Install the new helix and, in our case, a new spring. Clean everything, then use the CCT to compress the pring and install the Torx screws with fresh Loctite. Torque to appropriate specs. 21. 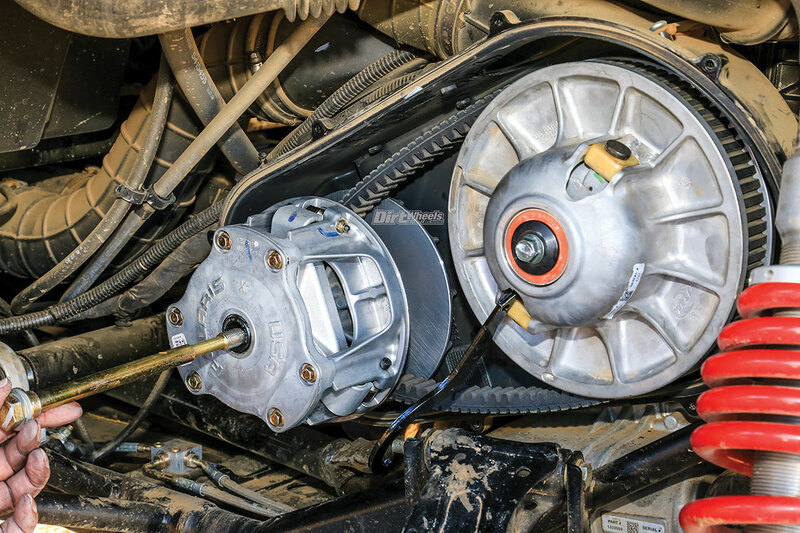 Use the proper clutch-spreading tool on the driven clutch and slip the new belt on the driven clutch. 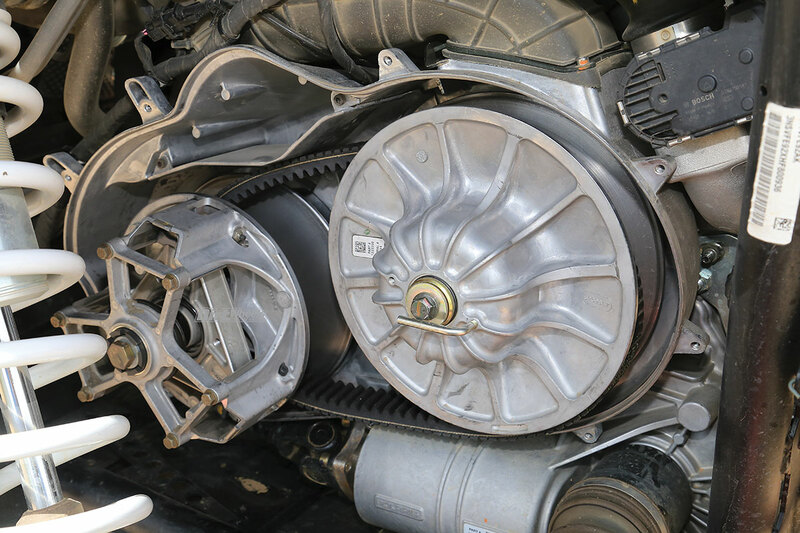 You can slip the belt into the drive clutch as you slide it onto the end of the crankshaft. 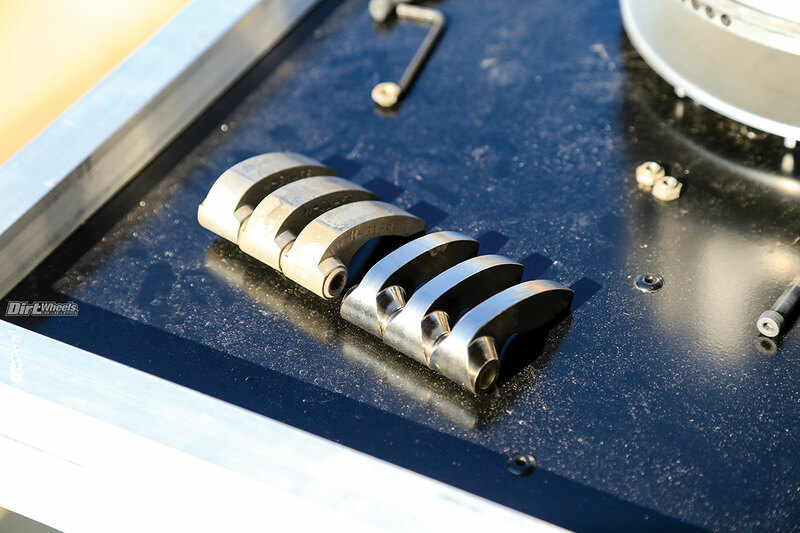 Torque the bolts using your smooth bar to keep the clutch from rotating. 22. 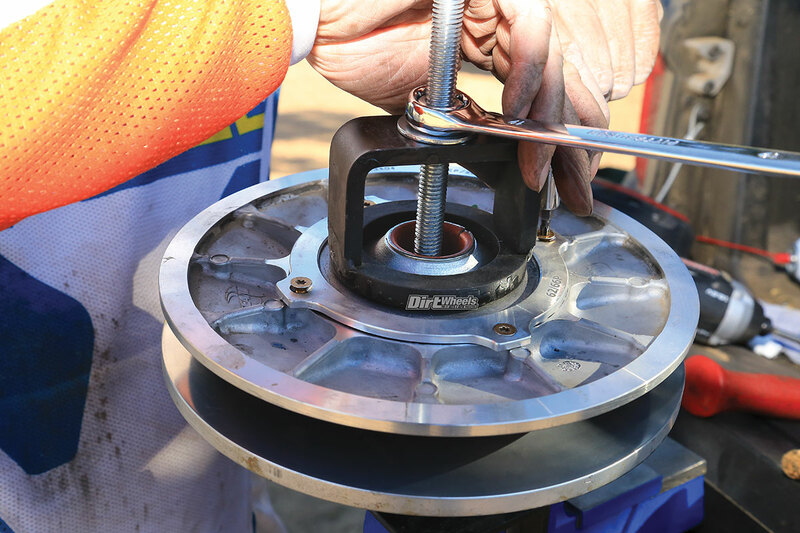 When the mounting bolts are properly torqued, remove the clutch spreading tool. 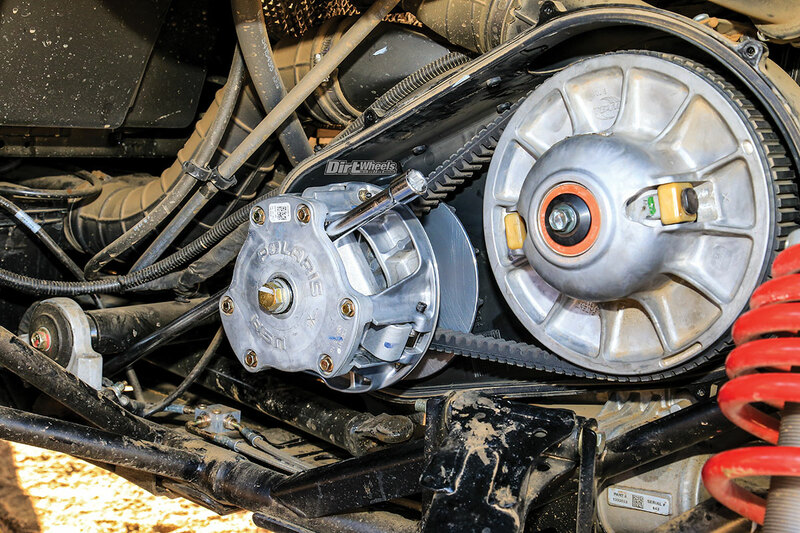 Rotate the driven clutch until the belt rides up on the driven clutch. 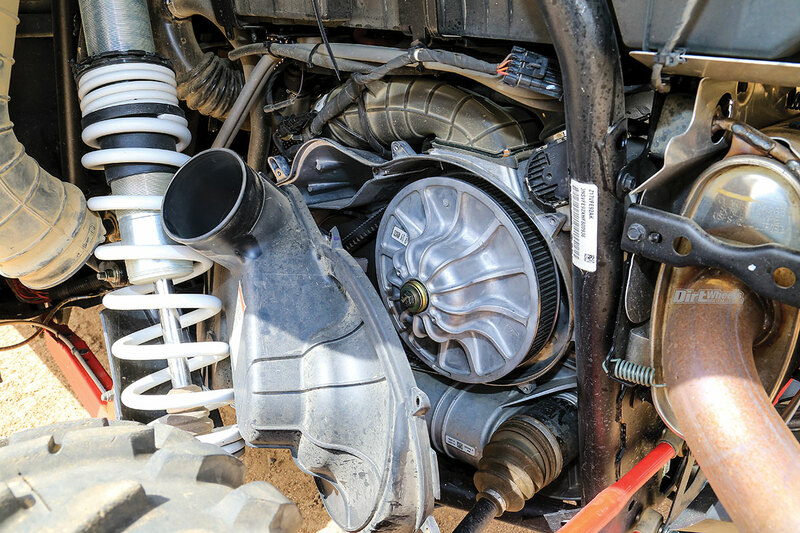 On the Turbo, the belt should be almost flush with the outside diameter of the driven clutch. On the General, it should extend above the edge of the clutch like this. We aren’t going to kid you. Any strange clutch noises will give you a heart attack for a while, but our two installs have been trouble-free. We went back in to apply an updated setting on the Turbo, and the sheaves were perfectly clean with no trace of belt slipping. Both machines have larger tires, and they both run exactly how they should. And, it is nice to know that everything is clean in there. Now, go enjoy those tires.